“We live in a century of galloping land-scape change. The village in which I live has around seventy houses: of these, well over half have been built in the last fifteen years.” All of us have shared Penelope Lively’s experience in different ways – motorways carve their way through the country, suburban towns grow towards each other and become urban areas, and Welsh valleys are drowned to make reservoirs. But man’s manipulation of his environment is not a new phenomenon. 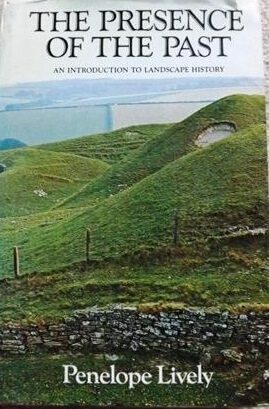 The men of the Iron Age fortified whole hill tops with massive ditches and ramparts that are with us still; the Romans, ancestors of the motorway builders, directed their road system throughout the length and breadth of Britain; the Saxons began to clear the forests that covered a large part of the country and to farm the land. We can still see the remains of deserted medieval villages – lumps and bumps in a field beside a stranded church; we can tell the age of a hedge by the number of different leaves in it (and so decide whether it is a Saxon boundary or an eighteenth-century enclosure hedge); we can follow the canals, forerunners of the railways, through the heart of England; we can trace the spread of industrial Britain and uncover the remains of early industry. Landscape history often involves people too: the crofters evicted in the highland clearances, the people of Otmoor who broke down the enclosure fences, travellers who wrote about the landscape like Celia Fiennes and Daniel Defoe. Penelope Lively presents the reader with a fascinating subject highlighted with anecdote and brought to life with personal touches. She shows us how we can interpret what we see about us, how the past is still present if we know where and how to look.